Freddy Gentizon, known as McFreddy, a photographer from Switzerland, has spent 13 years capturing the beauty of Việt Nam and its people. The photographer learned about Việt Nam through news, videos and documentary films on the war. In 2005, he first visited the country with his son and found that it was beautiful. 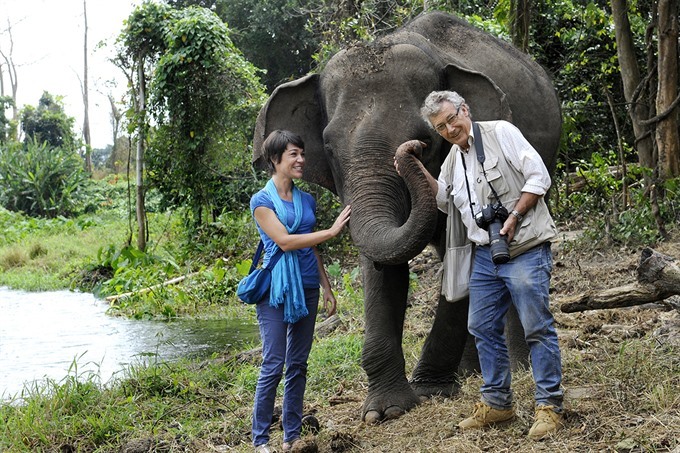 “I fell in love with Việt Nam and its people,” said McFreddy. The photographer has taken millions of photos of the country, especially of HCM City and the Mekong Delta. In early May, McFreddy introduced his collection to the public at the HCM City Fine Arts Museum. 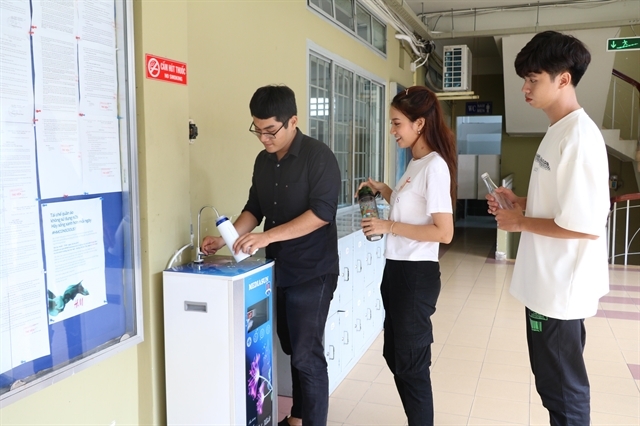 The exhibition “Daily Life in Vietnam 2005-2017” displays 300 photos on five topics: Maison Chance, Thủ Thiêm, Coconuts and Tax Trade Centre’s Parking Pottery Lot. Maison Chance is a non-governmental organisation that provides housing, health care, education and vocational training for orphans, street children, disadvantaged people and the physically handicapped in Việt Nam, which was established in 1993 by Tim Aline Rebeaud. McFreddy said he wanted to join a charity organisation in Việt Nam to learn more about the country, and found Maison Chance on the internet. “I chose Maison Chance because its director is Swiss,” he said. 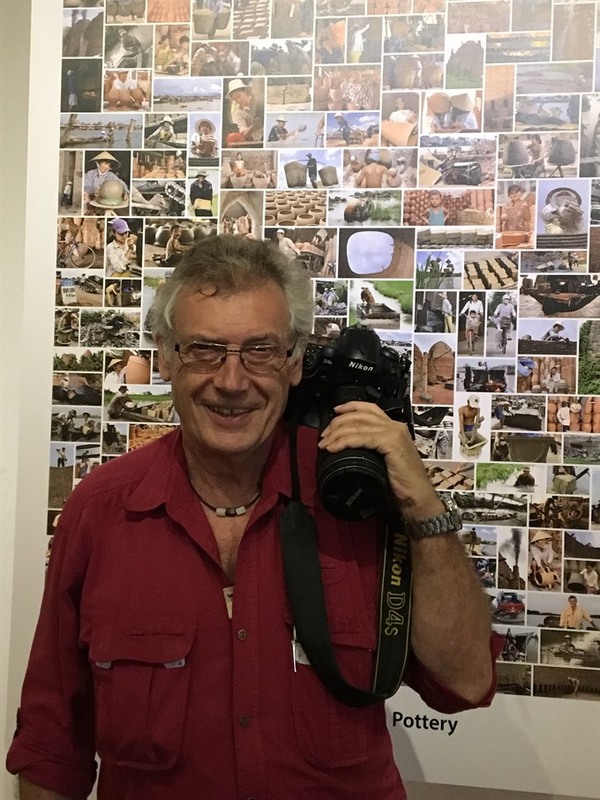 The photographer first visited Maison Chance on January 21 in 2005, and then returned countless time to capture happy smiles of people and children who lived in its three shelters in HCM City, and local and foreign volunteers, and its founder Tim. “At first, I was afraid of people in wheelchairs because I didn’t know what to do. But now I have a strong attachment to Maison Chance and its people,” he said. McFreddy travelled several times to the Mekong Delta and was attracted by pottery making in Vĩnh Long Province and coconuts in Bến Tre Province. His photos depict the life and work of people and farmers who make pottery and coconut products. “I love to take photos of hard-working farmers because I’m also a farmer,” said McFreddy, who owns a farm in his hometown Montmagny in the district of Broye-Vully in the canton of Vaud. He inherited the farm from his father who died in a car accident when he was young. McFreddy said that after his father’s death he gave up his passion of becoming a cameraman and maintained the family farm. “My love for photography is still alive,” said McFreddy, adding that once he returned home from a wedding, he saw an aircraft accident and took photos of it. His photos were later published by local newspapers, and he collaborated with local newspapers and magazines such as La Liberté, La Martin, 24 Heures, and Blick to take photos of news, sports, cuisine and culture. He has travelled to many countries, including France, Cuba, Turkey, the US, India and Cameroon, to take photos, but his favourite is Việt Nam. 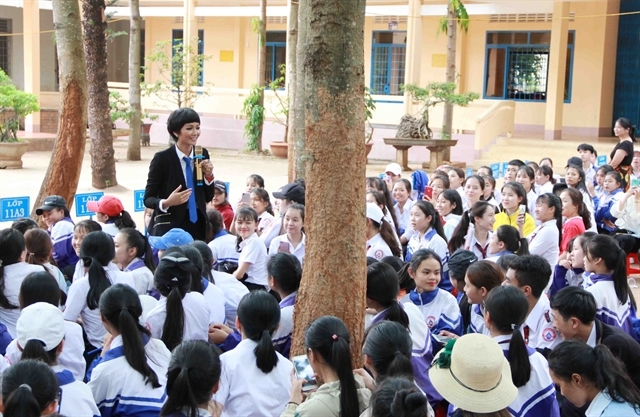 With his deep love for the country and HCM City, McFreddy took unique images of poor labourers living in Thủ Thiêm in District 2 in 2005 and the parking lot of Tax Trade Centre in District 1 in 2014. Thủ Thiêm is being built as a new urban area of the city, while Tax Trade Centre was demolished in October 2016. “McFreddy’s photos have become valuable documents because they contain beautiful memories of the city,” said 30-year-old Bùi Tuấn Lộc from Nhà Bè District. Lộc wondered whether McFreddy would continue to display more photos of other regions of Việt Nam. His topics are simple, he said. He can spend a day taking photos of a bus driver or a street cleaner.